A rant about Facebook originally posted to my Facebook profile in hopes ‪#‎Facebook‬ eventually hears the noise in their ivory tower. While scrolling through my news feed today I came across a video shared by a friend, posted by a page they follow. I watched it but then noticed something odd in the description. It said, "video source (link)" which lead to a YouTube page. The video had originally been made and posted by Screw Attack and had been downloaded and reuploaded by a page not affiliated with SA. It had one of those names where you know they are just trying to catch views and likes, one of those "curated content" geek pages plaguing Facebook. Well I see them as a plague, but Facebook doesn't seem to think this is an issue. They made it very difficult to report stolen content, to flag the video, the post, or the page. 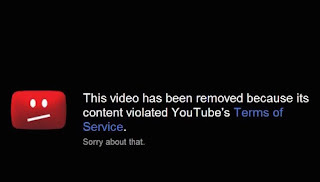 In fact, only the video's creators can flag it in any way. In order to do anything about it I had to send the Facebook video's link to Screw Attack and hope they can do something about it. Why though does it matter, Eric? Why go to the trouble, it's just a video.. Except it's not, it's stolen content and shady business practices. For starters the offending page literally took the Screw Attack video and uploaded it themselves, which is against Facebook policy and most platform policies. Secondly the video now has at least 5,000 views on Facebook that the original video isn't receiving. Not a huge loss for Screw Attack but plenty of other creators have had their content reuploaded and lost out on millions of views. Thirdly Facebook favors videos uploaded to their website over links to YouTube. A YouTube video may reach 300 of a page's followers, while a Facebook video will reach 4,000 of them and show up more in new feeds. And another thing, Facebook is benefiting from all this because they run ads on Facebook. So while these kinds of pages are trying to share trendy videos and score Likes, Facebook is raking in ad venue from the side. It also keeps to keep you from wandering away from Facebook. Recently Facebook bragged that they were the new video viewing platform. 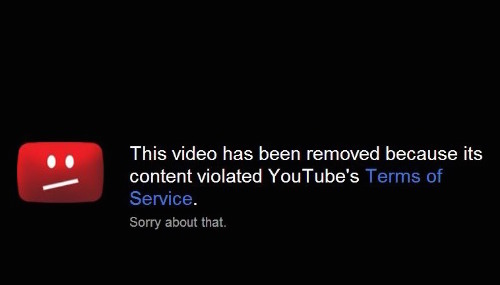 But most of the content is stolen from YouTube. On top of that, the videos count a "view" as at least 1 second of the video playing. YouTube doesn't count until 30 some seconds. And let's not forget that Facebook videos autoplay when you scroll by. So maybe I haven't had a video of mine reuploaded on Facebook. So maybe there are other, more serious issues in the world. This is something I wanted to share because I think it's a problem with this site. Facebook should be more conscientious about it and the average Facebooker should know about it.